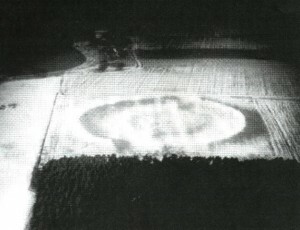 Analysis of air photography has revealed the almost complete plan of a feature. Thought to be a henge of similar nature to those elsewhere in the Swale-Ure valley. The bank of the earthwork was composed of river cobble and gravel dump construction. 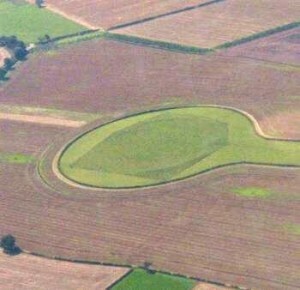 The cropmark remains appear to be the henge bank of some 140m in diameter. A site that spans several thousands of years from the Stone Age to at least the Iron Age, the ancient people of the area built one of Britain’s largest ancient sites in Yorkshire, in what was to become the heart of Brigantia.